An epic love triangle set during the dying days of the Ottoman Empire and amidst the horror of the Armenian genocide, The Promise is an old fashioned but still effective grand drama. At the dawn of the Great War, Mikael Boghosian (Oscar Isaac) is a young Armenian man passionate about medicine and living in a small village in the Ottoman Empire. He promises to marry fellow villager Maral (Angela Sarafyan) for convenience, and uses the dowery to finance his education at the prestigious Imperial Medical Academy in Istanbul. In the big city, Mikael meets and falls in love with fellow Armenian Ana Khesarian (Charlotte Le Bon), who is already in a relationship with Associated Press journalist Chris Meyers (Christian Bale). Mikael also becomes friends with fellow medical student Emre Ogan (Marwan Kenzari), the son of an influential Ottoman army man. The war breaks out, and the Armenian community is immediately subjected to a rising tide of violence and intimidation. Initially Mikael is saved from conscription by Emre, but eventually he is seized and sent to a prisoner labour camp. The campaign against the Armenians grows into large scale massacres as entire villages are emptied out and their residents indiscriminately slaughtered. Chris risks his life to cover the atrocities, while Mikael tries to survive and save his family, including his now-wife Maral. Ana is torn between the two men, as she helps with the growing crisis of refugees and orphans. 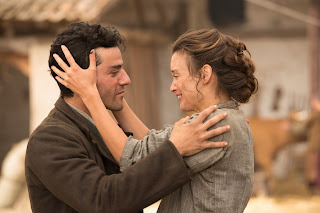 Directed by Terry George, The Promise aims for a lofty love story set against turbulent wartime history in the vein of Doctor Zhivago and The English Patient, and with laudable artistry shines a light on the second worst genocide of the 20th century. And through the character of Emre, George and co-writer Robin Swicord ensure that some balance is introduced to the story -- some Turks stood against the tide of ethnic hate. 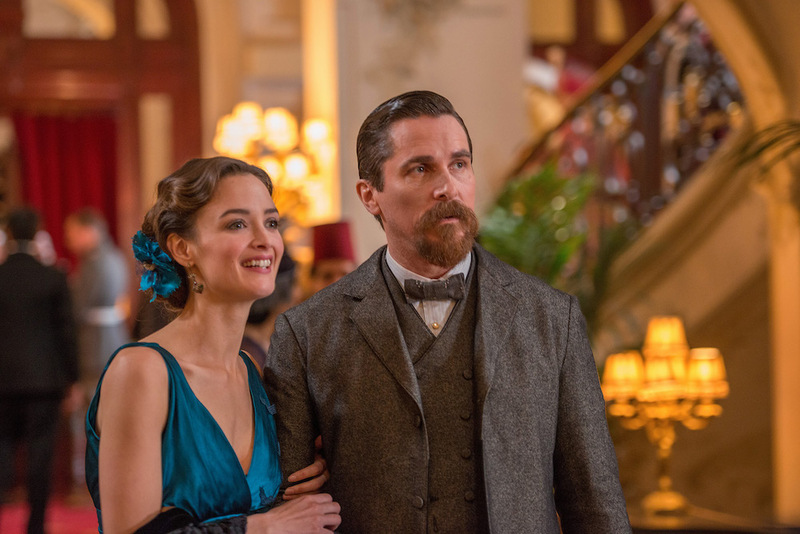 But despite the earnest tone and lavish production values, The Promise falls short of its ambitions due to limited original content and a muddled second half. The front end of the film is by far the better experience. Mikael's story in the prelude to war is filled with personal and national intrigue. The Istanbul setting is deliciously conspiratorial, with Turks, Arabs and Armenians co-existing but somewhat uneasily. Businessmen, academics, journalists and army men circle each other as German military types start to make their presence felt and the winds of a global conflict blow into the city. Meanwhile Mikael promises to wed village girl Maral, takes her father's money and promptly falls in love with the irresistibly cosmopolitan Ana, herself in an uneasy relationship with Chris. The overlapping love triangles create a tense personal dynamic, with both Mikael and Ana carrying guilt into their relationship. Once the fighting erupts and the Armenian population is targeted, the film loses its footing. Frequent and dizzying perspective changes are introduced, with Mikael, Ana and Chris taking turns at the centre of the story. Instead of gelling the film fragments into vaguely unsatisfying episodes. The emphasis shifts from romance and politics to the Armenian genocide unfolding in the countryside, and a patched-on drama about undefined orphans and missionaries having to flee for their lives never gains emotional traction. Despite the lack of genuine resonance, The Promise is never less than interesting to watch, a valuable spotlight on an under-reported and abominable episode in history.